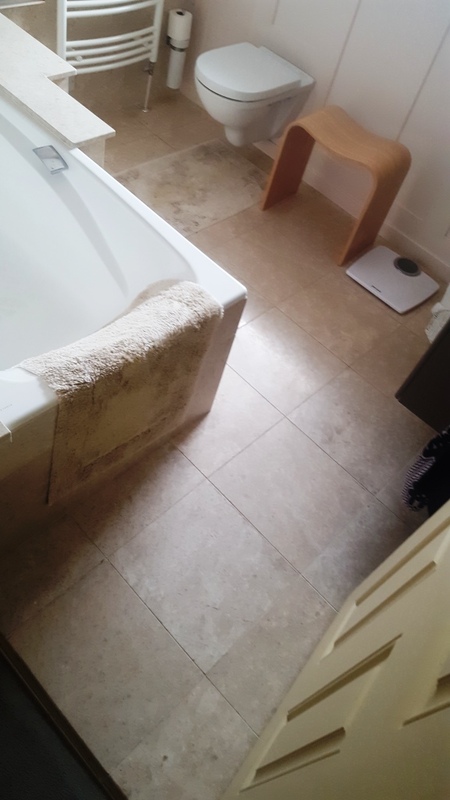 The owner of this house in the village of Endcliffe Sheffield was unhappy about the state of their Marble wet room and called me in to do something about it. 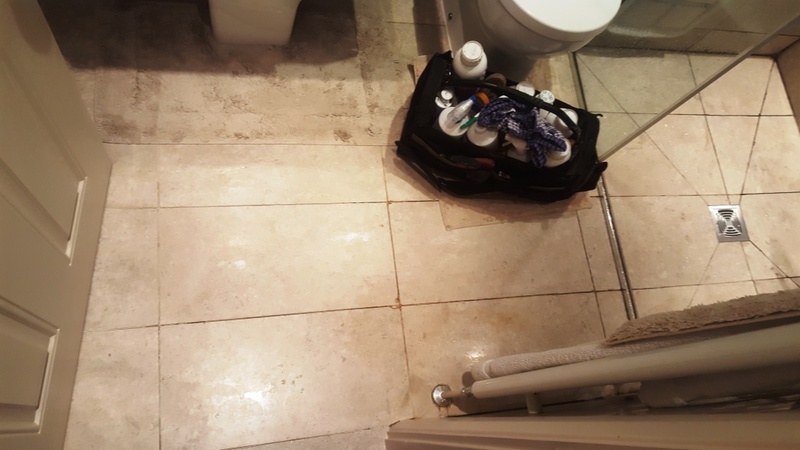 The main issue was that mould had built-up across the bathroom especially on the grout and silicone sealant, the Marble tiles were also looking dull and needed sprucing up. Mould thrives in moist warm conditions and without adequate ventilation it will start to take hold. Often in cases like this we advise clients to improve the power of their extractor fan or leave a window and a door open after a shower, in this case however the wet room had no windows. 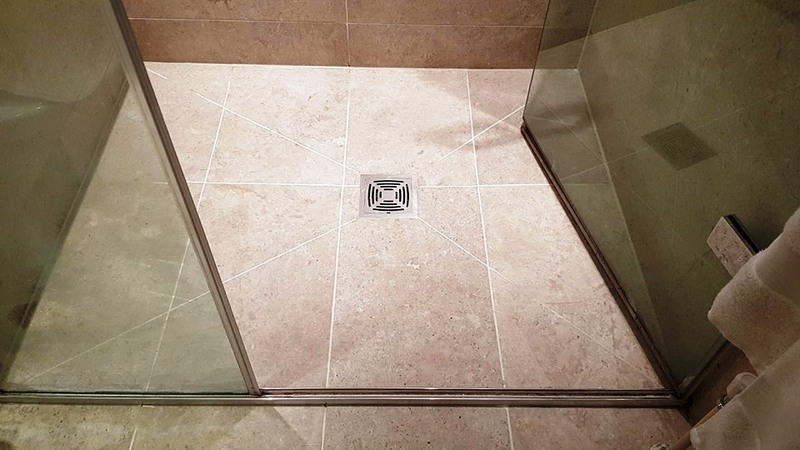 Another option you can try is to run the shower cold for a few minutes after you have used it, this decreases the temperature and removes moisture from the air. 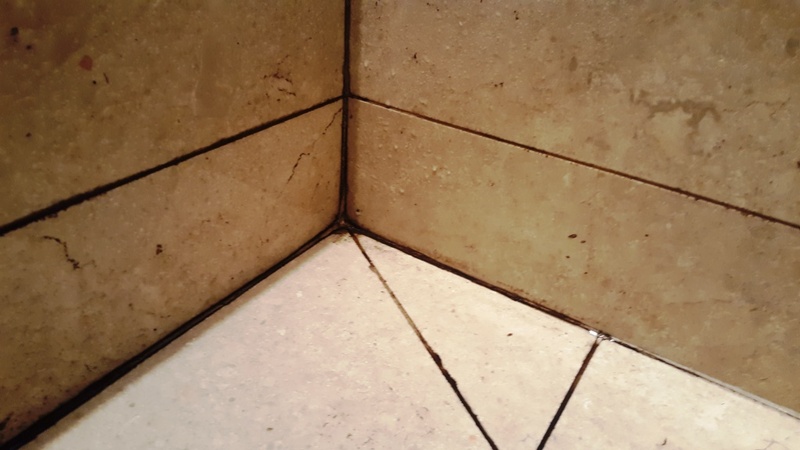 That tip is easily forgotten when your in a hurry so regular cleaning with Tile Doctor Duo-Clean which is a tile cleaner and mould remover should allow you to keep on top of the problem. 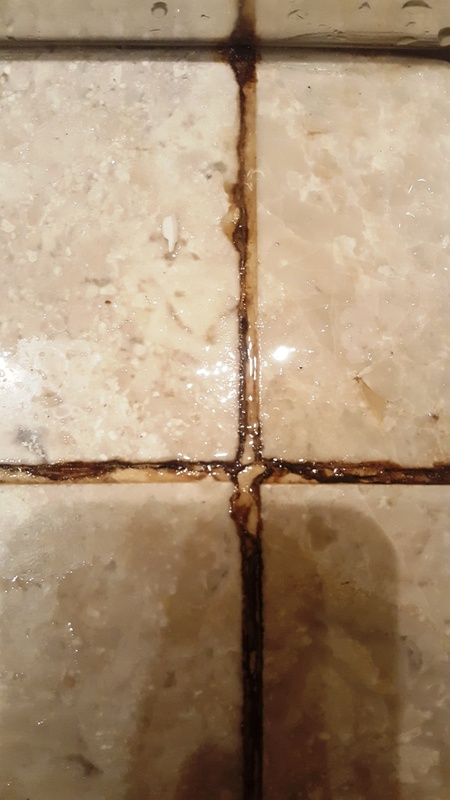 In this case the Mould had really taken a hold and I knew form experience that scrubbing with a powerful cleaner like Duo Clean was unlikely to get the grout back to the pristine condition the customer wanted so I decided to strip out all the affected grout and silicone and replace with new. It took some time but I have a special electric grout removal tool that comes in handy for these situations and so it wasn’t long before I had removed the worse of it. This was followed by carefully removing the silicone sealant that ran between the shower tray and Marble wall tiles with a sharp knife. Next, I turned my attention to the Marble tiles which had lost their shine and become dull. Marble is hard stone and to get the best out of it we find its best to burnish them with a set of diamond encrusted burnishing pads that remove the dirt and slowly bring back the polished appearance. Normally when we talk about burnishing it’s in relation to stone floor tiles however these pads also come in small six-inch size as well which will fit a hand buffer or Angle Grinder. Like floor burnishing the pads are applied in sequence starting with the coarse 400-grit pad and moving up through the 800, 1500 and finally the very fine 3,000-grit pad. The lower grit pads need to be lubricated with water and you rinse between each pad with water to remove the slurry that is generated. 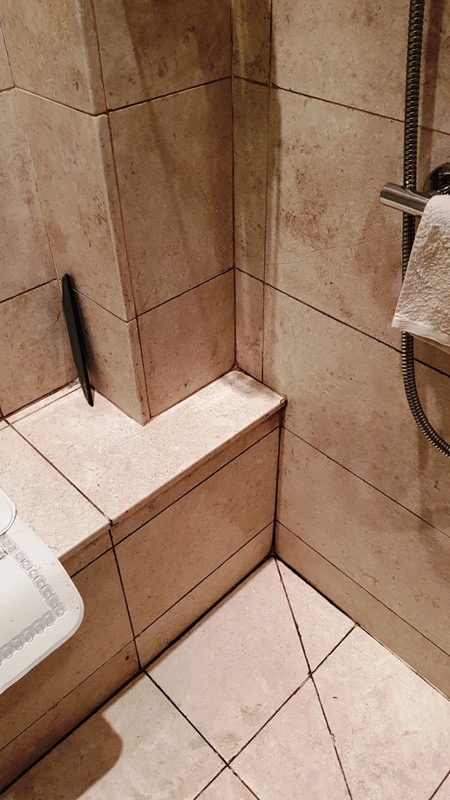 With the Marble tiles now looking good it was time to protect them from future staining by sealing them with two coats of Tile Doctor Ultra-Seal which is a premium sealer that leaves a natural look that doesn’t darken the colour of the stone. I left the re-grouting to last as its easier to remove grout from a sealed tile and then finished by putting back the silicone strip, both the grout and the silicone we chosen for their anti-mould formula and before leaving I gave some advice on how to keep on top of the mould problem going forward. My client was delighted with the result and relieved that they would no longer feel embarrassed when visitors ask to use the bathroom.